The office building of a publishing firm in downtown Los Angeles circumscribed by the exit ramp of freeway 10 to freeway 110. 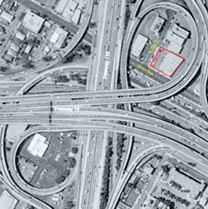 The design was influenced by three factors: a) the site limitations, b) the programmatically defined public/private character of the firm, and c) the proximity to the massive freeway ramp. The design exhausts the site area and height. 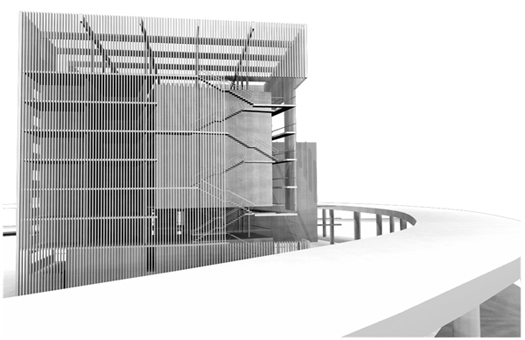 A maximum building envelope functions as a protective container for the life of the firm. Use the "back" button of your browser to return.